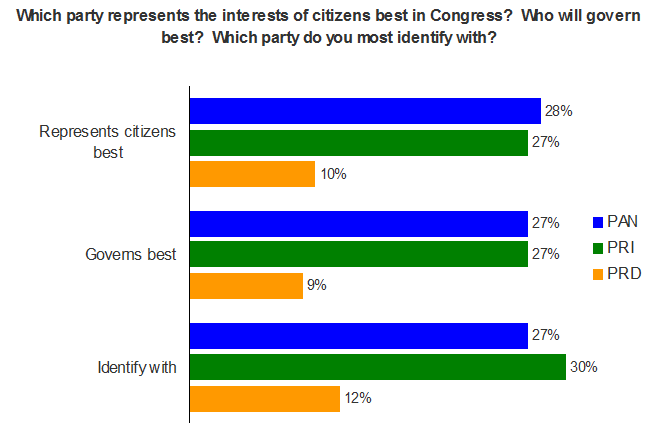 A new GEA-ISA national survey showed that voter preferences for the July congressional election have tightened. 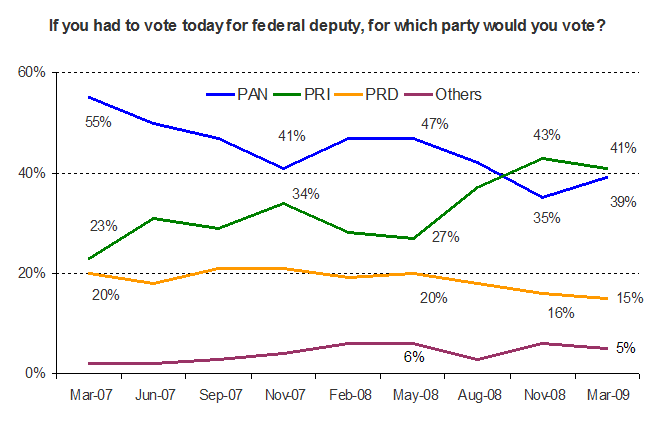 Excluding undecided voters (31% of the total), the PRI lead had fallen to 2 points from 8 points last November. The PAN and PRI are running neck and neck in terms of other indicators of voter preference. The PRD continues to lose ground.